 Skanda in the well-known Sanskrit Dharani of Great Compassion. In the Chinese gloss-version there is a quasi-Sanskrit rendering of Dhuru Dhuru Vajayate - 'the Victorious One who delivers'. 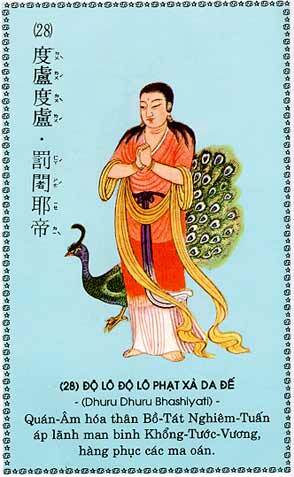 The Chinese depict the 'Bodhisattva' Skanda as accompanied by a peacock. Wei Tuo Pú-sà (bodhisattva Skanda) is recognized as one of the eight divine protectors in Chinese Buddhism. Iconographically, he appears as a majestic general in his armor. 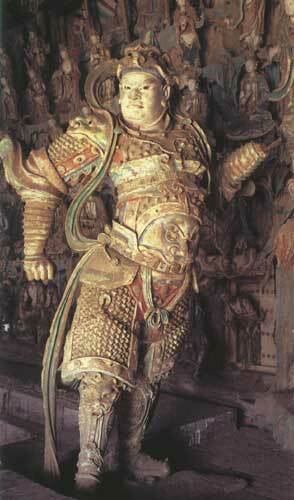 Before entering Nirvana, Buddha ordered the general, who remained in this world, to protect the Buddha Dharma. After the death of Buddha, the relics were robbed by evil demons. 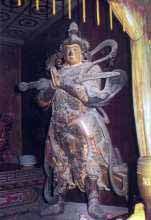 The bodhisattva Wei Tuo managed to overcome the demons and recovered the relics of Buddha. Wei Tuo Pú Sà is regarded as a devoted guardian of Buddhist monasteries who guards faithfully the Buddhist treasures and the objects of the Dharma. Baima (White Horse Monastery in Luoyang, Henan province) is the earliest monastery established in China with a long history of more than 1,000 years. According to legend a white horse carried Buddhist scripture here, and so it got the name. Followers of Buddhism have always acknowledged Baima Monastery as their 'ancestral temple' and the 'source of Buddhism' in China. Two life-sized statues of Wei Tuo Pú sà (Bodhisattva Skanda, at left) are also among the deities represented at Baima Monastery.